"A long established local company offering the following services all under one roof"
The beauty of natural stone with amazing colours and tones can last a lifetime. 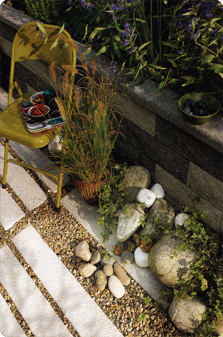 With so many choices of style and colour, natural stone is the choice of garden landscapers and diy amateurs alike. We specialise in Asphalt and Macadam surfacing Paving & groundworks, domestic & commercial, roads, drives, car parks and footways. We have a comprehensive, competitively priced range of skip sizes available including roll/ on roll/ off bins for larger volumes of waste. We also offer an eight wheel grab service for those who are able to stock pile when digging footings etc. The materials we supply have been carefully selected over the years to produce a good quality range of products at a competitive price to help produce that all important professionals finish. Varying grades of materials are also available. we offer one of the largest and most diverse ranges of hire equipment available today, so whether you want to hire telehandlers, power tools, accommodation units or generators, we can fulfil all your rental needs. The Anglian Group has been serving the public for over 25 years within the East Anglian region. The Anglian Group has completed many major projects successfully, and continues to be a major force in the construction industry. Our commitment is to continue to service the construction industry for many years to come. 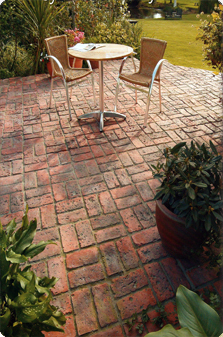 A good installation will not only add to the appearance of your property but will also add value to your home. We all know what state the housing market is in at the moment so if you are wanting to sell your house, buyers are looking for any excuse to knock money off the sale. 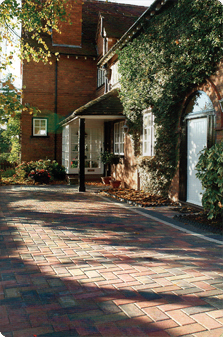 By creating instant kerb appeal you are creating the right impression from the very start and putting potential buyers in the right frame of mind at the very start of a viewing. Not only that but it creates the right impression that you have cared for your property and a prospective buyer likes to know that the property they are thinking of buying has been looked after. We will also advise you of the best way to maintain your installation. In general there will be very little to do but you may decide you want to clean your surfaces and we will tell you the best way to do this without damaging the installation. Damage can occur if you use one of the high pressure jet washers that are easily available without knowing how you should approach the job. A poorly maintained surface will sink if the correct procedure is not followed so don't fall into the trap of cleaning with a jetwash without knowing the proper procedure.